The Barbour Alwin Socks are two colour stripe sock with contrast heel and toe. 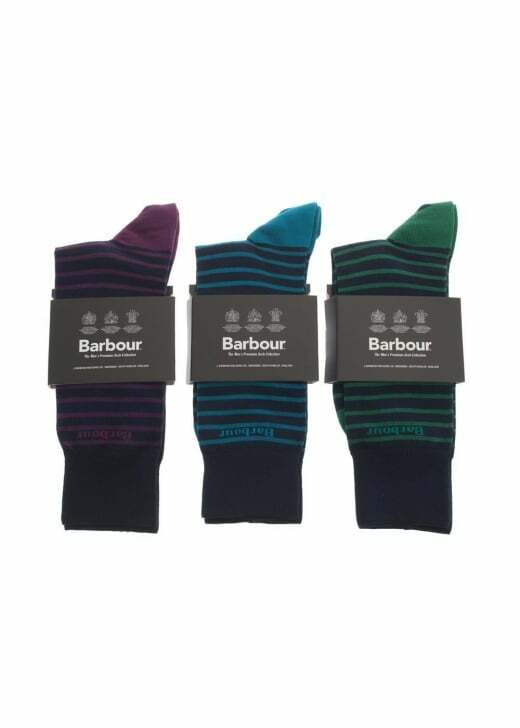 The Barbour Alwin Socks are two colour stripe sock with contrast heel and toe. As well as featuring the coloured stripe design, they also feature Barbour branding on the outer leg and transfer print Barbour logo to the foot.